Ojon® Restorative Hair Treatment is a hair rejuvenator that helps hydrate and improve the condition of dry, damaged hair - without weighing it down. After just one treatment hair is extraordinarily soft, silky and manageable. 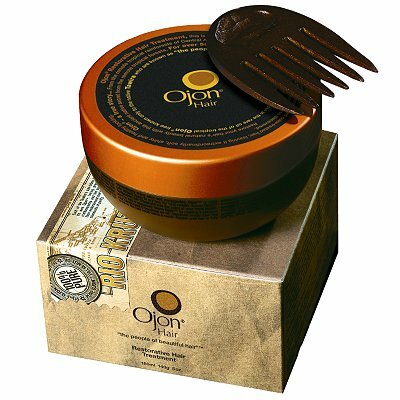 Restorative Hair Treatment contains our highest concentration of pure Ojon® oil. This was my particular favourite from this kit. This treatment consists of palm oil, fragrance, and a few extracts. 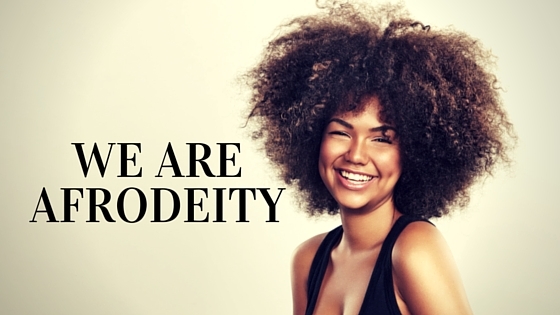 We know that some oils penetrate the hair, like coconut oil which will filter deep into the cortex because it is so similar to hair’s natural lipids. We also know that washing our hair removes some of these natural oils. Once inside the hair, the oil serves as a re-fatting agent. However, this type of conditioning won’t have much effect on the cuticle, the outer layer of hair, so you’ll still need to use a good conditioner to smooth the hair and make it easier to comb. It is similar in this regard to coconut oil, but I did love the feel of my hair after using it as a pre-poo. I enjoyed using it and will definately be buying agaian and will be adding it my list of great oils. I even used it before self relaxing to protect the ends along with some JBCO. A daily, ultra-rich moisturising cleanser that conditions hair with exclusive Ojon® oil, Shea Butter and Sweet Almond. Adds weightless body without static. An ultra-rich conditioner for dry, dehydrated hair. Contains exclusive 'Ojon oil', Shea Butter and Sweet Almond to instantly detangle, condition and add shine to your hair without weighing it down. Another lovely set of hydtaing conditioner and shampoo. I enjoyed using these but again no better than any other moisturising shampoos I have used, for example PhytoJojoba. Just different in terms of smell and texture. Not sure if I would see more of a diffrence after longer term use, but my hair feels soft and shiny and I cant fault these products but again so many other moisturising shampoos do relatively the same thing. Ojon® hydrating Styling Cream: A leave in styling treatment with light hold. hydrates and smoothes damaged and dehydrated hair. Formulated with encapsulated Ojon microspheres to help detangle while providing a brililant shine. Due to illness and just being extremely busy, I managed to stretch my hair to 13 weeks!! My sister was around when it was being relaxed and commented on how straight it looked and wondered if it was because I don't relax every six weeks like she does. Previously when my hair was newly relaxed it would be curly, limp and red (possibly damaged) I did it every six weeks religiously. Lots of the women in my family are skeptical about the lengths I am going to, to retain my length, frankly they cant understand why I don't just get a weave! But I am determined to get this to work and once I have acheived my goals of chin length front hair and APL back of the hair, I will probably do something different, but for now I continue on with my challenge to grow my hair. Currently just over shoulder length, needs some dusting but comparison pics in my next post. Should I self relax ?? Where can I buy JBCO? What is Pre-poo and how should I wash my hair? Where can I find black hair care products to buy? What are good products to use and how should I start? When can I see Chris Rock's Good Hair in cinemas in the UK? Can anyone help. There are many afrodeities out there trying to find JBCO, but not online! Where do you get yours in store??? Can you help??? After an email from my sister in law, about an article she stumbled into in Elle, I thought I would give you a little summary of said article especially for you newbies. Olive Oil’s Organic Root Stimulator Shampoo, £3.40 followed by its Lotion, £2.84, both from Boots. “Shampoo twice with a moisturising or detangling shampoo, massage into the scalp, roots, middle and then end. When you condition, towel dry first, then apply conditioner to the hair concentrating on the ends” explains Errol. To keep your hair in optimum condition you should be applying a mask at least once every week. “Always use a deep conditioning treatment once a week, especially if you have chemically-treated hair to keep it strong, and avoid breakage or thinning” explains hair expert Frederic Fekkai. Make oils your hair’s new best friend - mango oil, grapeseed oil, olive oil, coconut oil are all really moisturising and give the hair sheen” says Errol. Afro Love’s Coconut Collection starting at £2.29 for the Leave-in Cream Conditioner (loveafrocosmetics.com). 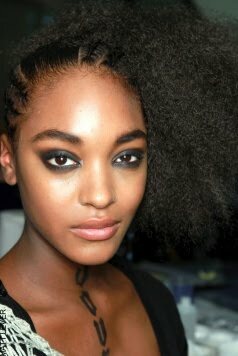 It is always best to leave your hair to dry naturally as it is far less damaging than heat styling. When looking for a hairdryer it is worth investing in an ionic version.